This is the grave of Isabel Younger, the infant daughter of Thomas Younger, an engineer at the Enderby settlement, and his wife. Isabel died on 19 November 1850 at just under three months old. Hers was the first death at the settlement, and she was buried the next day at the communal cemetery. Her gravestone, which survives in the 2000s, was made from a grindstone and records an incorrect date for her death. 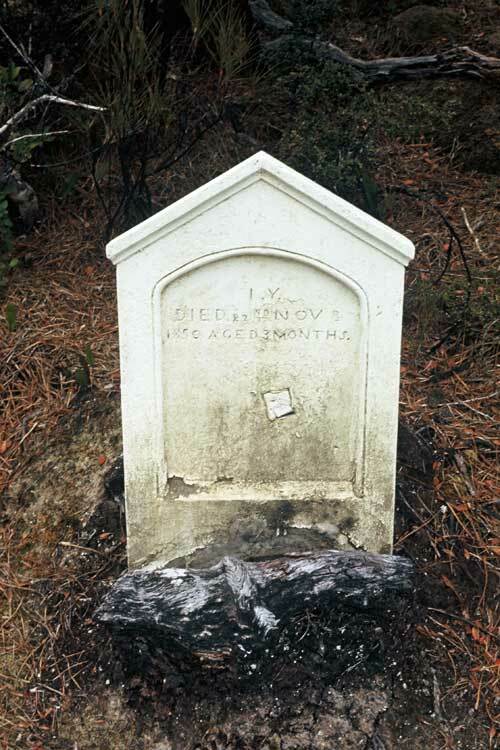 Another infant, Janet Stove, who died in October 1851 aged four months, is also buried in the cemetery, along with seaman John Downs, who died of dysentery in February 1852.